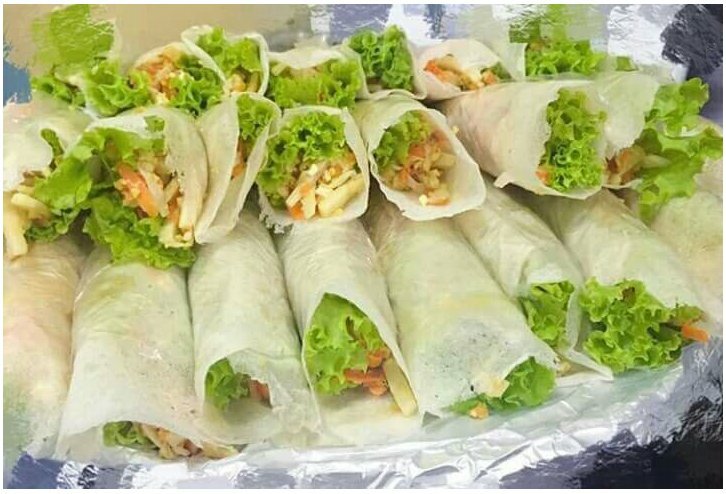 ”Pampanga,tamales is also called “bobotu”.The tamales is a native rice cake that is popular in Pampanga, especially in Cabalantian in the town of Bacolor where, the BEST tamales, they say, come from. 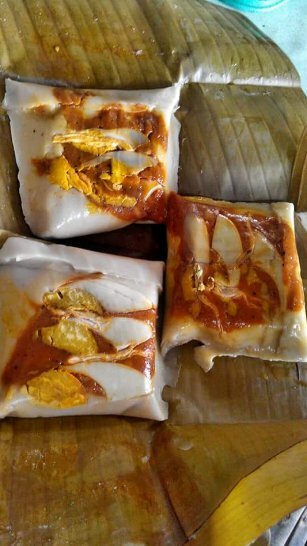 It’s an offshoot of the Mexican tamal (tamales is the plural form), which are packets of corn dough with a savory or sweet filling and typically wrapped in corn husk. In a frying pan, toast the rice until golden brown. Grind rice in a blender and set aside. After the rice, grind the roasted peanuts. In a deep pan combine coconut milk, salt, pepper and brown sugar, let it boil. Add the powdered rice, with constant stirring. Add the ground roasted peanut, stir constantly and cook over low heat until thick. Continue cooking the paste, until it separates from the pan. Lay two banana leaves. At the center, put 3 tablespoons of the regular paste and flatten lightly. Top each with chicken, sliced ham, eggs and shrimp. Cover with 3 tablespoons of red paste. Wrap with banana leaves in four folds and steam for 20 to 30 minutes.